Let's go back to when music was really music. From Motown's 1st release "Money" by Barrett Strong, to the pulsating sounds of Smokey Robinson's "Ooh Baby, Baby". This is the sound that broke through from the Doo Wop era into a new sound for "R & B". 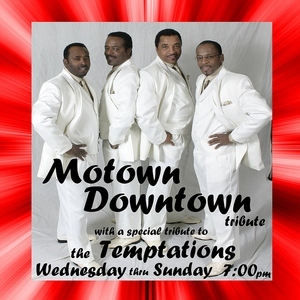 Just to name a few acts you'll see: The Four Tops, Smokey Robinson & the Miracles, The Originals, The Supremes, Martha & the Vandellas, Mary Wells, and last but not least, The Sounds of The Temptations including "Get Ready", "My Girl", "Just My Imagination", and much, much more.